I skipped the last 2 weeks of the "My 3 Boybarians" Project 52 challenge for the simple reason that I couldn't come up with anything creative to shoot for those 2 themes. This week's theme was easy. The weather has been fabulous here, so we went to the park on Sunday for a picnic... and I was able to take a bunch of fun pictures! (I'll post more on Sunday). Julianna's new sunglasses that she is obsessed with! Fabulous!! a star is born!! 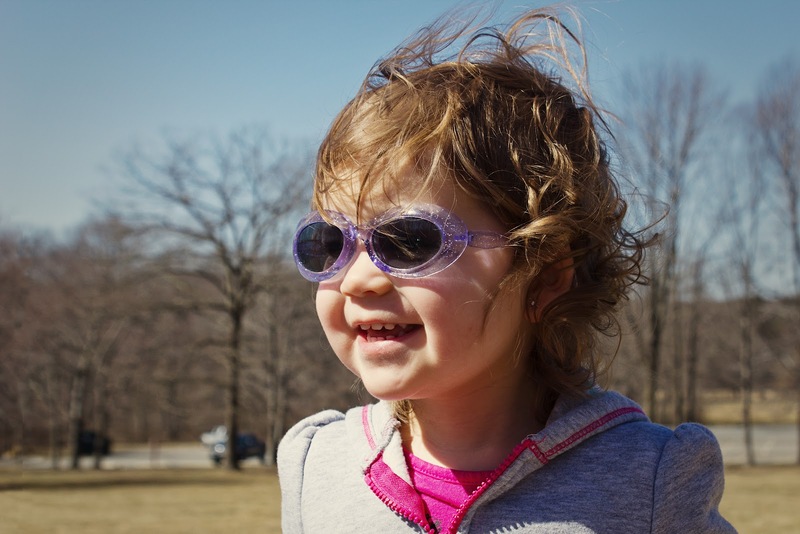 kids in sunglasses get me every time. she's adorable! Awww. How cute. Purple glasses are fabulous. Thanks kathy - She loves them so much she wants to wear them at night too! haha! Those are some stylin' sunglasses. :) She is adorable. Cute! Zoe has a pair of shades that I'm dying for her to grow into.